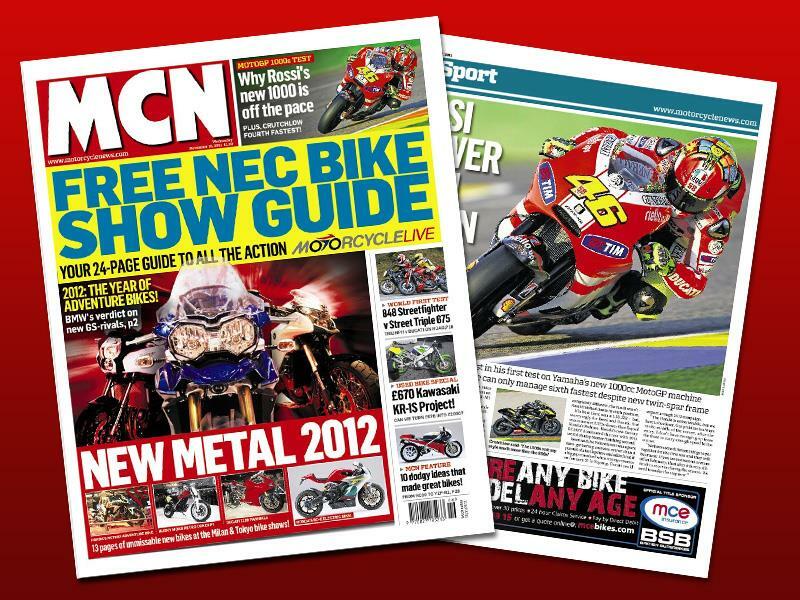 In this week's issue of MCN, on sale Wednesday November 16, we bring you all the details on new metal for 2012, with 13 pages of unmissable new bikes from the Milan and Tokyo bike shows. We take a look at the flood of new adventure bikes that stole the limelight at the Milan show, including the Triumph Tiger Explorer, Kawasaki Versys 1000 and Honda Crosstourer, plus radical concepts from Honda and Yamaha set to be unveiled at the Tokyo Motor Show. Plus we pit the Ducati 848 Streetfighter against the Triumph Street Triple R and test three of the best used big-bore tourers. 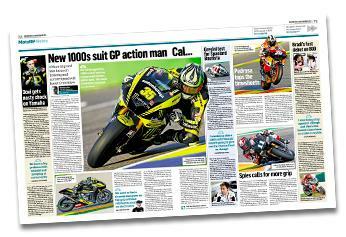 We have all the news from MotoGP testing in Valencia, plus the latest developments in WSB and BSB. We examine every single bike unveiled at the Milan show, from the new BMW GS rivalling adventure bikes to the Ducati 1199 Panigale, Honda's new Mid-Concepts and the latest models from MV Agusta, Moto Guzzi and Bimota. Honda has unveiled a stunning road-legal electric sports bike concept, the RC-E, ahead of the Tokyo Motor Show next month. 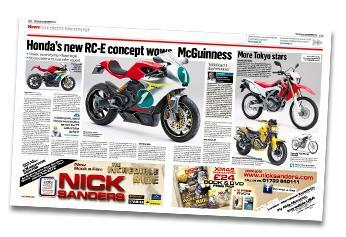 John McGuinness gives MCN his reaction and we take a look at more Tokyo stars from Honda and Yamaha. 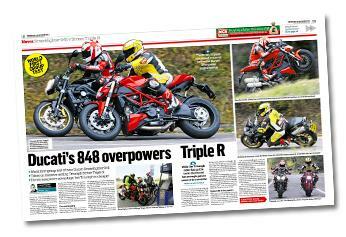 We pit Ducati's new usable, middleweight Streetfighter against the Triumph Street Triple R in a world first group test. When Ducati set out to build the 1199 it did everything but address the bad idea at its core. With good reason. The firm's L-twin engine layout is one of the rationally wrong ways of doing things that have characterised so many of our most-loved bikes. 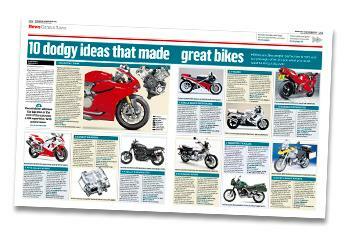 We take a look at the other dodgy ideas that made great bikes. 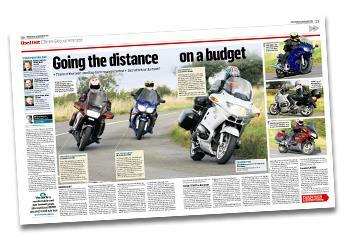 We test three of the best used big-bore tourers in the £3-4,500 price bracket, the Honda ST1100 Pan European, Yamaha FJR1300 and BMW R1150 RT, to find the ideal way to cover big miles in comfort, whilst being able to enjoy the twisties. 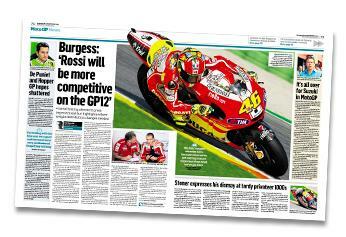 Ducati and Valentino Rossi should be capable of fighting for podiums from the beginning of the 2012 MotoGP campaign according the Italian's legendary crew chief Jerry Burgess. Cal Crutchlow is confident the switch to a 1000cc capacity limit for 2012 will help him become a consistent top six contender in MotoGP. 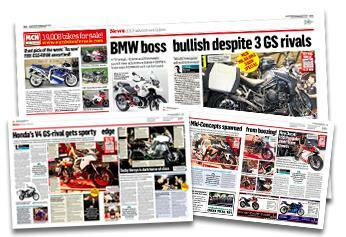 New MCN November 6: 16-page new bike special!